Muscle atrophy occurs when muscle tissue is lost or wastes away. Some muscle atrophy is normal as you age, but if you notice your muscles reducing at an unusually fast rate, it could be due to an underlying medical condition. 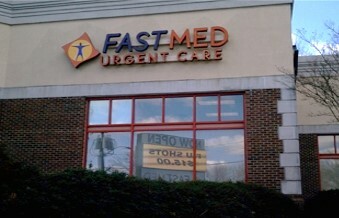 If you have noticed unexplained or long-term muscle loss, visit FastMed Urgent Care. Our medical professionals will work hard to determine the cause of your muscle atrophy and provide you with the proper treatment. Disuse atrophy – Disuse atrophy is caused by a lack of physical activity. This can occur in people with seated jobs, medical conditions that limit movement, or decreased activity. Disuse atrophy can often be reversed with exercise and good nutrition. Some other common causes of muscle atrophy include injury, burns, malnutrition, muscular dystrophy, immobilization, and osteoarthritis. Treatment for muscle atrophy varies depending on the cause, and it could require physical therapy, ultrasound therapy, or even surgery. When you come to FastMed, a medical professional will likely ask about your symptoms, perform a physical exam, and assess the muscle size and strength in your arms and legs. Your physician may also recommend a blood test or an x-ray. FastMed’s walk-in clinics are equipped with on-site labs and x-rays, so we can provide you with testing quickly and conveniently. Don’t wait to see a physician for sudden muscle loss, stop by FastMed today!